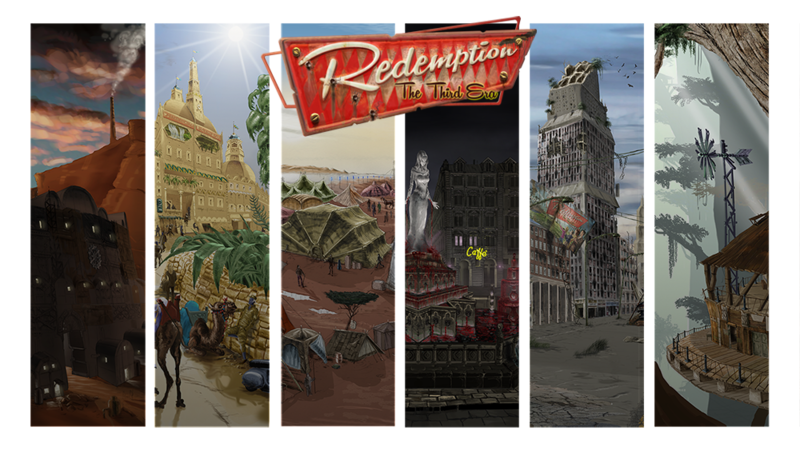 It is time to analyze how is executed a standard match of Redemption – The Third Era. Assuming each Deck will have to follow its own strategy in order to be competitive and to win some matches, each of these will have to be formed by a Hero Card and eight Character Cards. 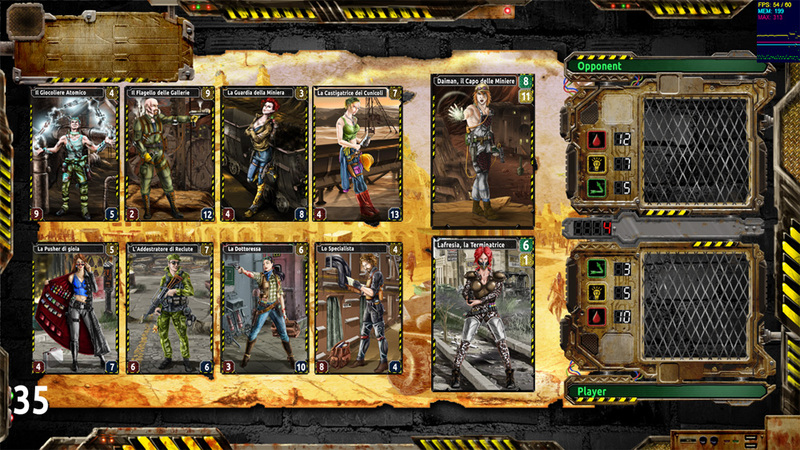 Once the play system has coupled the two players who will fight each other in the battlefield, the system will automatically choose four of the eight Character Cards in the Deck that will fight with the other four Cards selected from the opponent. At the same time the players will be informed about who will make the first round. At this point the active player has simply to show his opponent which Character Card he wants to play firstly, by selecting it without knowing the opponent’s response. If this has been done, it’s up to the opponent to choose the Card to be used in order to meet the challenge. This is the first choice with which players will intervene in the fighting. When these choices will be made, the battlefield for the single fighting will be outlined. The system notifies the players of activated Heroic Skill for the selected Cards. This type of Skills has no ‘costs’ of activation but only ‘conditions’ of activation. These conditions of activation can be the most varied and linked to each variable component of the Card: Race, Corporation, Strength, Constitution, Fame, Number of Attacks, and so on. After setting out the activations of the Heroic Skills, the system will wait the players’ choices: both players will choose the Skills with activation cost for the Character Cards. This is the second point in which the player has to make choices. 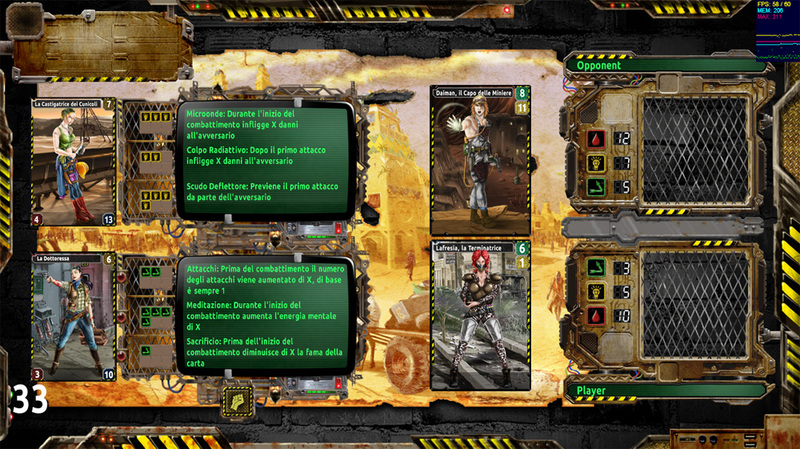 These choices require both the knowledge of the Deck strategy and a certain foresight depending on the Cards selected by the system for the match: the activation of one or more Skills of the Card makes its power increased, but it decreases some of the resources that the game makes available for the Energetic Pool. Postponing an activation of a not helpful Skill can allow to activate it on a Card for a further fighting. Here there are involved a number of components of the game that make each game unique: the bluff, the game viewing, the type of Deck, the insight both of the opponent Deck and of the way the opponent could play it. Then the two Cards automatically fight each other, starting from the Card chosen by the player’s turn and all the planned actions are carried out: the activation of Skills at the right moment, the exchange damages for each attack. If the Constitution value of a Card is reduced to 0, this is captured by the opponent Hero and it gives its Fame to the opponent. If no Card reaches 0, you get a draw and no Fame score is assigned. After having performed the four fighting expected for the Cards, the player with the highest collected score of Fame will be the winner. Then the provided scores for the players in terms of caps and experience points and other various types of being examined awards will be assigned. Once the assignment of scores will be completed, you can start a new match.